This entry was posted in History, Our horses and tagged Equine, Horses, nokota, North Dakota Badlans Horse, Theodore Roosevelt National Park, Wild horses, wildlife. Bookmark the permalink. Thank you! You are very welcome, I just found out about your site and your fine horses. We used to visit Italy every summer in the past and we love your people and your landscape, a wonderful place for horses! This is a great story that, we apologize, didn’t know anything about. Thanks for sharing. We are asking our friends to read and act as they can. We will soon transalte it in Italian to share with more people. Questa è una cosa grandiosa, giunt apari pari dalla Svezia. Chiediamo scusa a chi non parla inglese tra noi se non la traduciamo subito, ma lo faremo presto. Il succo, in ogni caso, è questo. Ci sono un mucchio di cose che fanno riferimento ai cavalli delle Badlands, al Theodore Roosevelt National Park e allo spostamento forzato del 50 per cento dei cavalli presenti nel parco, finiti, pare, a un’asta che dovrebbe poi condurli, presumibilmente, al macello. Pare ci siano parecchie cose da capire, visto l’accumularsi di sigle e di, sembra, polemiche. Il dato di fatto è che ci hanno linkato, sperando di far crescere il rumore intorno a quest’asta e alla probabile fine di cavalli che sono, fuori da ogni schema commerciale, parte della storia d’America. Legga chi può adesso (gli altri appena traduciamo) e se si può fare qualcosa, facciamo. Thank you for reading and welcome. I am so glad you now want to promote understanding and cooperation, since that is exactly what this blog post was all about. I presume neither of us wants to start any trouble, but if you think much of what I wrote was untrue I must ask you to please be more specific or else your statement is of no value. I read your blog at http://wildhorsesoftrnp.blogspot.se/2011/03/north-dakota-badlands-horse.html?m=1 some time ago and posted a question but received no answer or approval, maybe there was some problem? So I try again, if I may quote you: “The Nokota Horse came from the same stock as the North Dakota Badlands Horse, but have evolved into a slightly different type because that smaller gene pool.” As you know the Nokota represents the wild horse of the northern plains as it was before later deliberate introductions of other breeds or mix of breeds into the park. The North Dakota Badlands Horse is the same horse but after other breeds was added. So which horse has then “evolved” into a slightly different type? Among other things you also wrote on your blog that many Nokota Horse owners claim that ND Badlands Horses are of less value. It is of course a very intimidating assertion. These are just two examples of how you and your colleagues do not promote understanding and cooperation between groups of horse lovers, but rather speak with a forked tongue. Any horse of any breed is of course of equal value for themselves and their human friends, that is why we have both Clydesdales and Shetlands in this world. The North Dakota Badlands Horses, as you have named them, from the TRNP are wonderful horses, of that I am certain, but the only difference between a ND Badlands Horse and any other horse is its Nokota origin. What we do need to understand is that if we want a specific breed of horse to be preserved for the future it is that specific breed of horse we must cooperate to save. Since the Nokota Horse Conservancy desperately needs all possible support to preserve the 118 or so remaining Nokota Horses of the most rare and unique bloodlines which your friends at the NPS refuse to recognize, it is of vital importance that you do help to promote understanding and cooperation in order to save the Nokota Horse we both love. Thank You. – Mikael Werner. Thank you, Mikael, for allowing my post on your blog. I am sorry if some of what I have stated on my blog was offensive to you or other Nokota horse lovers. I would never want to put down the Nokota horse as I think they are wonderful horses. I do think the horses living in TRNP are wonderful horses also and are also deserving of life. To correct one of your statements, I lived in ND for over 50 years before moving to SD in 2012. I started the NDBHR in 2009 as a result of the NHC stating that they would not register horses coming out of TRNP. NHC board members were quoted in 2009 in news articles saying that there were NO Nokotas in the park. In my request to register a filly I had gotten from the park in 2008, I was told my records would have to be confirmed with the park, but no one ever contacted the park to do so. Because I wanted a way to follow horses once they were sold and develop a network for buyers, it seemed necessary to create another organization for the horses. 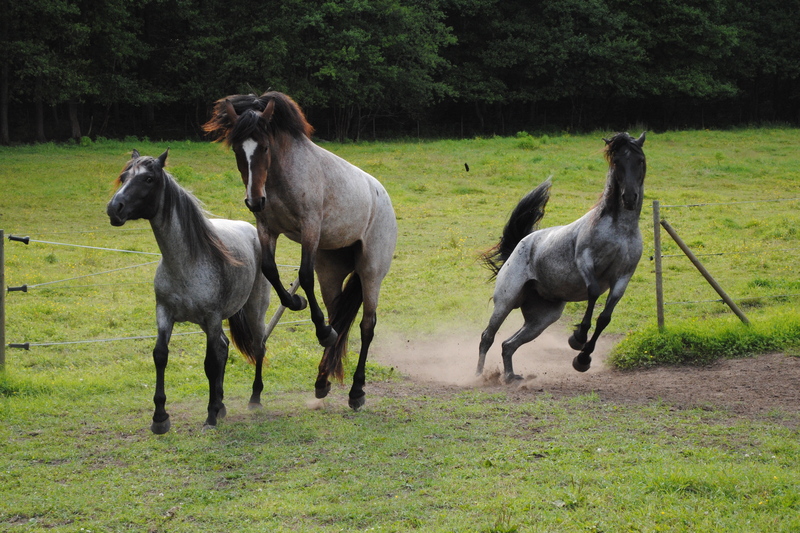 NDBH is more of a description of the horses of that area, not a breed. Friends and I agreed that a small percentage of blood of the few horses introduced in the 80s did not make a horse any less deserving of help than those whose bloodlines were from a mixture of horses who had been introduced over the past 100+ years. You stated that the horses were “isolated until 1950,” but horses were being bred in and near the area of the park for decades before the park was established in 1947. People like Badlands Bill McCarty drove thousands of horses to that area when horses were no longer needed for transportation and farm work. Since open range practices were prevalent in those years, horses from local farms and ranches mingled and interbred with one another and with wild horses of unknown origin to create the horses that were inadvertently fenced into the park in the late 50s. This is well documented. Castle McLaughlin’s paper of 1989 supports this. You claim that my and Tom Tescher’s work documenting the horses over the past 50 years is “without purpose.” Except for the past 3 years, TRNP has never had staff documenting the horses; it has always been done by volunteers. It was only because of the Colorado State University contraceptive study that the park was able to dedicate one person on a part time basis. If it wasn’t for Tom’s and my work for those 50 years, no one would know anything about the origins and genealogy of the horses. I do cooperate with the park staff because I feel that getting to know people and lending a helping hand is a good way to promote cooperation and understanding. I do not agree with everything they do, but I have no power to control a federal agency. They do their jobs the way they see fit in balancing all the species of animals and plants in their care. At the roundup and sale the park staff and Wishek Livestock’s handling of the horses was caring, respectful, and professional. I know because I was there. Your statements that our hard work to find homes for all the 103 sale horses was “contra-productive,” ” stealing attention and means,” from more deserving horses, and “causing confusion” are very hurtful to me, however I forgive your for your misunderstanding. We did not set out to steal anyone’s thunder or work against any other organization, but to see that NOT ONE of the TRNP wild horses was lost to slaughter. You speak about doing what is right and yet you say, “If no one buys a single horse” that everything would work out right. I strongly disagree with you and other NHC people who tried to discourage people from buying the TRNP horses. If good hearted individuals and rescue people had not bought the horses, they would have ALL gone to slaughter, but because these caring, generous people did buy, the kill buyers did not get them. That was our goal and TEAM NDBH accomplished it! Thank you again for allowing me to express my views on your blog. I will welcome additional discussion about the horses of TRNP and our organization. I also sleep very well, thank you. Thanks for your reply, to reconnect to my question I assume it is settled that it is the NDBH that has evolved into a different type, not the Nokota. Just to clarify; My opinions shared here are my own and I do not speak for anyone else, me and my family are not involved in NHC other than being Nokota Horse owners and generally affectionate about the horses from TRNP. About your first correction; I just wanted to mention the uneasy coincidence between the Minnesota based Nokota Horse Association which was basically closed down by the US District Court due to suspicion of violation of the Nokota trademark, following the immediate start of the NDBHR. The problem with NDBHR is that you deliberately confuse the meaning of equal properties and equal value, thereby misleading a less informed public that the Nokota does not exist as a breed. To keep a registry of horses removed from the TRNP and their future offspring is a great idea and I encourage you to do so, but you should also recognize the historic and unique Nokota Horse breed and the NHC for preserving them. I definitely agree with you that the intentional crossbreeding of TRNP horses with horses introduced in the mid-80s does not make the horses less deserving of help. 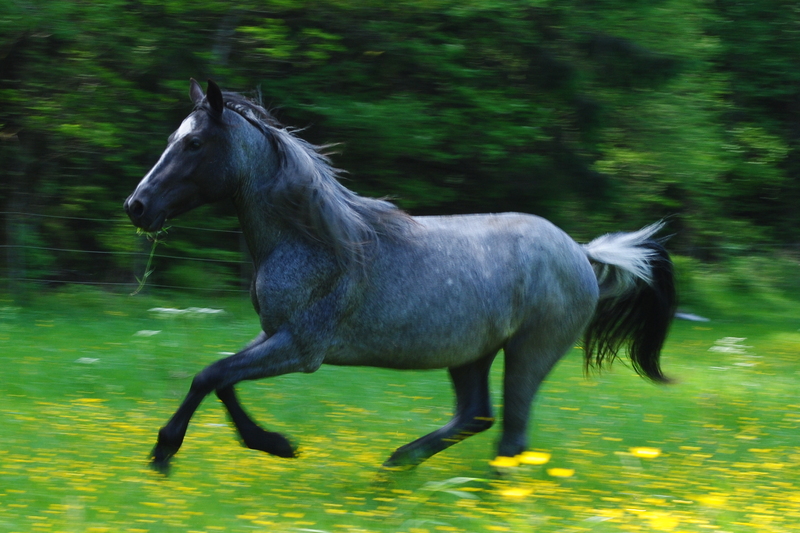 However the whole idea with a breed is that it represents a certain breed of horses with identifiable traits important to preserve, not because the individual horses are more or less deserving of help, but because they represent a unique historical breed of horses. As you very well know the Nokota horses were carefully selected out of a larger population of horses NPS removed from TRNP, beginning in 1981until October 2003, when e.g. Lucky Dust was removed (who is the dame of our Wild Prairie Rose). Dr Sponenberg, Robert M Utley and Dr McLaughlin have all verified the distinction in historic background, conformation and other characteristic traits that make up the Nokota Horse. Over and over again NDBH people claim that since there were unknown horses occasionally drifting into parts of the area during one or two decades until the TRNP was fenced; all and every horse intermixed like water in a pond. It does not take an expert to realize this is an absurd argument for many reasons. The horses selected from the early TRNP auctions had indeed been isolated during a long timeframe and they are called Nokota Horses. Even almost five hundred years after the first Spanish horses set foot on the American continent, Dr Sponenberg still found 20 horses well defined as of Spanish Colonial type among the Kunz Nokota horses, but none in TRNP. The Nokota Horse is, as every other breed, a mix of many different horses during a very long, but historic timeframe. What makes the Nokota Horses a unique historic breed is, among other things, the many generations they endured and thrived in the Little Missouri Badlands; the conformation, language and other traits they developed is unique. The intentional introduction of external horses in the mid-80s changed more and more bands to a point where there were no more Nokota Horses believed to exist in TRNP. It did not change their value but their properties as a unique breed. About the great Tom Tescher’s early work I am very humble. My note was relating to the purpose of NDBHR doing the work that is NPS responsibility. I understand that observing and recording the horses inside TRNP must be a wonderful voluntary work to be engaged in, but it is a job NPS are legally responsible for and therefore they should take the full consequences for neglecting it to a point where the imagined only solution was to cut down the population in half and send the horses away without care for their future life. To cooperate means that you must share the same goals, values and principles. I believe negotiation is a better way to relate to NPS concerning the horses of TRNP. There is an important distinction between cooperation and negotiation. If you do not agree with NPS on everything speak up and tell the public about it, maybe NPS depend on you more than you think. By cooperating and promoting big-time helicopter roundups and removals of horses from their natural habitat NDBHR do not help preserving wild horses from the North Dakota Badlands, you merely legitimate the mismanagement that lead to the present situation where there are no longer any true Nokota Horses in the North Dakota Badlands. With good help from the NHC who put attention to the safety issues, you were able to save the lives of all the 103 removed horses; by the circumstances a job well done for everyone involved, anything else would have been a total disaster. But again you miss the point. By supporting and promoting the roundup and sale of one full half of the existing horse population, not without your organizations own good interest, you put yourself in a situation where your credibility was depending on a successful wild horse sale. To split up the horses from their natural habitat and then claim you saved them leaves you nowhere. The big time roundups will continue unless the contraceptive experiments make the population sterile. To me the picture is clear; the nonprofit NHC work relentlessly to preserve the horses from TRNP with a vision to reintroduce them into the wild, while NDBH saves horses by promoting wild horse auctions. Thank you, thank you, thank you for this informative, clear, beautifully written post! I learned so much. I so agree with your point of view regarding “the lesser of two evils” when it applies to these glorious, intelligent, soulful beings whose lives are decimated by the “lesser evil”. Thank you for your work. I’m on board!